Welcome at a new episode of Carpe Diem. This month we are exploring the "Motherland" of haiku, Japan. As we all know Japan has an Emperor. So I love to tell you a little bit more about the Japanese Impire and their Emperor. Currently, the Emperor of Japan is the only remaining monarch in the world reigning under the title of "Emperor". The Imperial House of Japan is the oldest continuing hereditary monarchy in the world. In the Kojiki (finished 712) and Nihon Shoki (finished 720), it is said that Japan was founded in 660 BC by Emperor Jimmu. 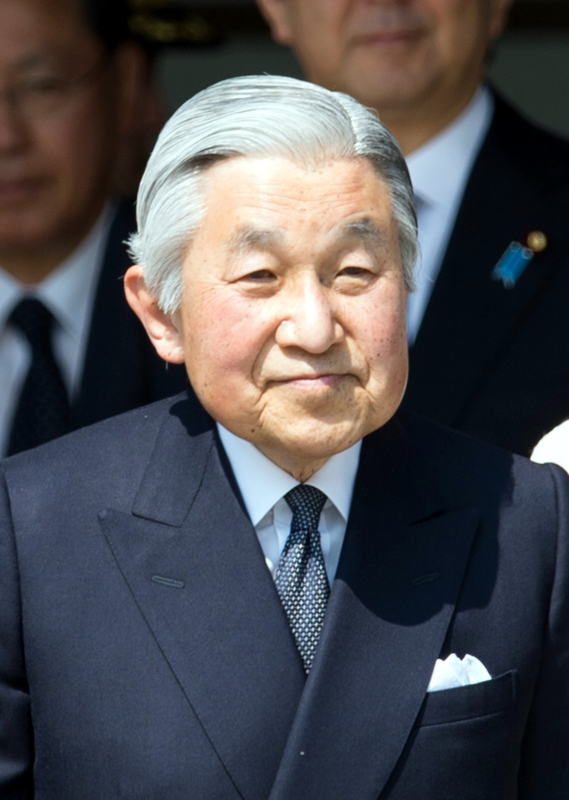 The current Emperor, since 1989, is Akihito. Akihito is the 125th Emperor in line. As I was preparing this episode I realised that there is a significant similarity with The Emperor from the Great Arcana, as we saw recently in our pilgrimage to Santiago and back in 2013 during our Tarot month. As is said, the Japanese Emperor is a direct descendant of the Shinto Goddess of the Sun Amaterasu, and is from that a god himself. The Emperor from the Tarot is God and as we recently read here at CDHK, He created the world from God-stuff. Both Emperors have divine roots. As we read above the Emperor is the highest authority of the Shinto religion, he is the Highpriest and therefore everywhere in his country he has to perform rituals, that makes him more divine than we would think. Will there be similarities with the Hierophant (or The Pope, Jupiter) of the Great Arcana, let us take a look at that. The Hierophant is similar with Jesus, the Son of God, and that shows us (again) that there is maybe a divine source from which the Emperor came, because he is seen as a descendant of the Sun-Goddess Amaterasu, he is the son of the Sun-Goddess. All these are just thoughts of course, but it's a great adventure to "dive into" this kind of matter and I like to do that. A short episode, but a joy to create. This episode is NOW OPEN for your submissions and will remain open until February 10th at noon (CET). I will (try to) publish our next episode, Tea Ceremony, later on.